(RRP £49.99). 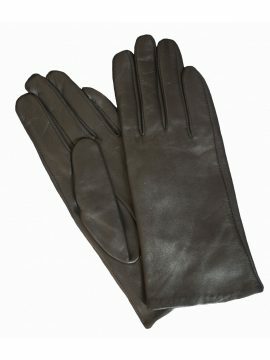 For those who want nothing fancy but just simple yet fine quality gloves for everyday wear, these ladies black leather gloves by Pia Rossini are the ones to buy. 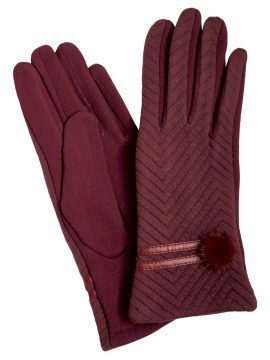 They are a plain classic design in soft lambskin and have an extra touch of comfort and warmth with a fur-feel fleece lining. Please see our Product Description below for full details and important sizing information. 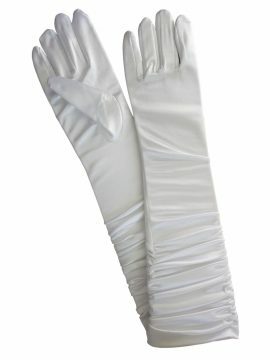 Elegant ladies black leather gloves in fine quality soft leather that are ideal for smart wear. 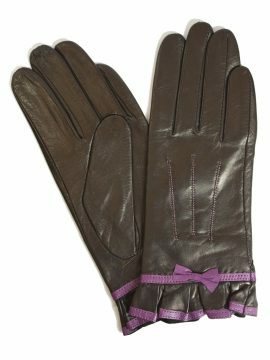 The gloves have a frill at the cuff which features a pretty bow and two bands in violet purple-coloured leather. Soft knitted lining. By Pia Rossini. Please see our Product Description below for full details and important sizing information.